This is Nubik… a virtual office with real, authentic people!! We work in remote offices that come in many colors. 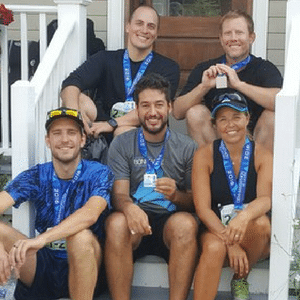 Nubik was recently recognized as one of the best places to work in Canada. We were also named Best Work Life Balance company by the Montreal Young Chamber of Commerce and The Quebec Government. If you want to join a team that is vibrant, full of curiosity and enthusiasm, you’ve come to the right place. Always evolving, Nubik is a company that likes to challenge our employees with interesting projects, new technology and a sense of fun. We are a people-centric company that values honesty, respect, and work-life balance. When you work with us, you always feel at home. At Nubik, we know that our people have families, support volunteer organizations and lead a life outside of the office. With 3 weeks vacation, extra time off at Christmas, and flextime earned through hard work, you get to work to your schedule and live your life. Take your granny out for a coffee date, keep up with your daily power yoga class, or go cheer your son or daughter from the front row during the annual Christmas concert. You get to do it all! by the Quebec Family Minister and Young Chamber of Commerce. When one of our team succeeds, we all succeed. Nubik’s culture is based on respect, encouragement, and developing each one of our team members to their fullest potential. Our business is supporting clients and we learn how to do that best by supporting one another. We make it easy for you to keep growing your knowledge. Certifications, professional development, ongoing training, and access to the latest, greatest technologies make Nubik a great place to work. At Nubik, we work together in a virtual office where we video chat, message and knock on each other’s virtual door. You get to skip the commute, yet stay connected and efficient with your teammates. All from the comfort of your home, where you’re most productive and happy. 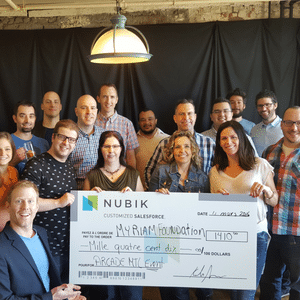 Whether it’s a day off to support a local nonprofit in their community efforts or joining together to raise money for a cause that is close to our hearts and soul, Nubik staffers are passionate about giving back. Open communication, respect, and a commitment to integrity are the cornerstone of Nubik’s success. We are committed to a policy of transparency and authenticity, and we bring this spirit to all of our professional interactions within the organization, with our partners and with our customers. Want to join our team? Check out our openings!